FALL HAS ARRIVED!!! Overnight, we shifted from hot and humid to cool and cloudy and I can't say that I mind it. I could do without winter all together, but a good cool fall day, snuggled up in a cozy sweater and a mug of hot table cider. Yup. Sounds lovely right about now. This weekend I will start to shift my closet over. The shorts are going to be put away and the sweaters are coming out! But with the change in temperature comes the dreaded Fall Cold. It started as a Summer Cold, but now it is a Fall Cold. My favorites this week are a little out of the ordinary. Someone was nice enough to share a boat load of germs with my hubby, who in turn shared them with me. Needless to say it was a fun filled week at our house. We played Who Can Blow Their Nose Louder? (I always win.) So I decided I would do a favorites: cold edition. These are my go-to products when I have a cold. This week, they absolutely were my favorites. My go-to drugs to get me through a cold. 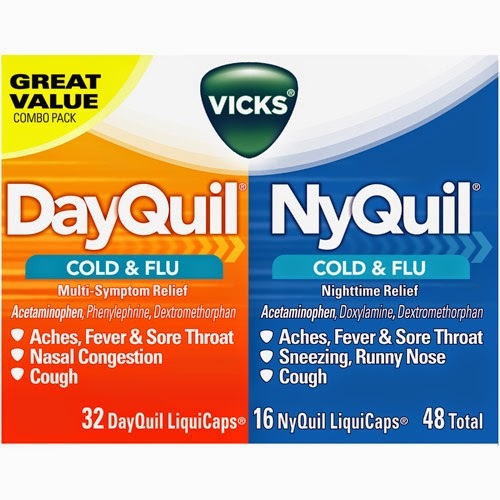 The tough part about taking Nyquil is getting up in the morning. Lots and lots of coffee was consumed this week. I blow my nose. A lot. (Those of you who know me in real life are laughing because a lot is an understatement.) Especially when I am sick. All of that blowing causes my nose to get rubbed raw after a few days. 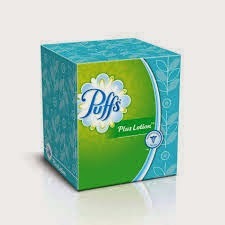 Puffs Plus makes a HUGE difference. No other brand will do. Gotta have the lotion. I start taking this at the first sign of a cold. I swear it helps shorten the length and every once in awhile it will make it go away completely. 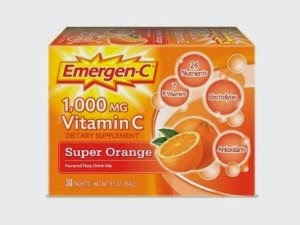 The Vitamin B complex in a lot of Emergen-C is also great for an afternoon pick me up. What are your go-to products when you are sick? I'm looking forward to a quiet weekend full of sleep and getting healthy. I hope your plans are more exciting! Have a great weekend! So helpful for those pesky colds. We also love any cough drops with zinc to help really heal your throat. Thanks for stopping by! I will check them out the next time I am sick!